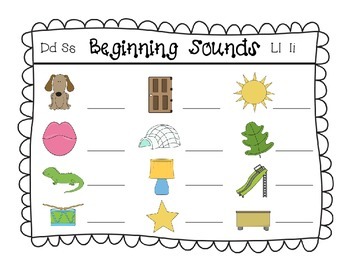 I made a cute little activity to add to my Literacy Center and wanted to share it with you. My district is currently using the Superkids Reading Curriculum. This activity is aligned to the 1st Semester Units but anyone using any curriculum can benefit from this. 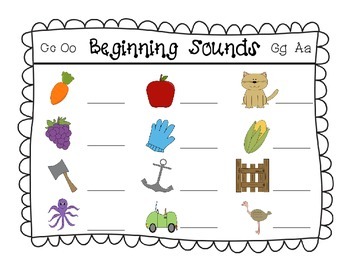 Print and laminate (or use a clear plastic cover) and allow students to use with an Expo marker or magnetic letters. 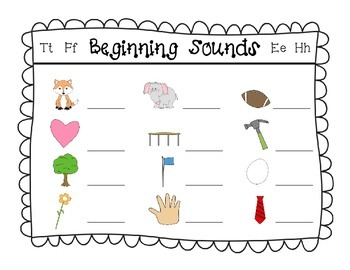 Students say the name of each picture and write the beginning sound. There are 4 focus letters for each page. The letters covered in this product are Cc, Oo, Gg, Aa, Dd, Ss, Ll, Ii, Tt, Ff, Ee, and Hh. If you have any questions about this product, don't hesitate to contact me at thekindergartenpod@yahoo.com. Thanks! 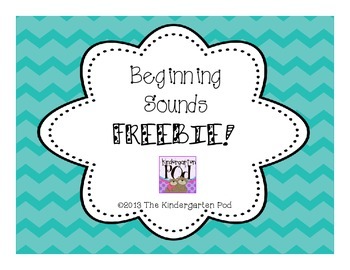 Follow my blog The Kindergarten Pod to get updates on my latest products, freebies and resources.